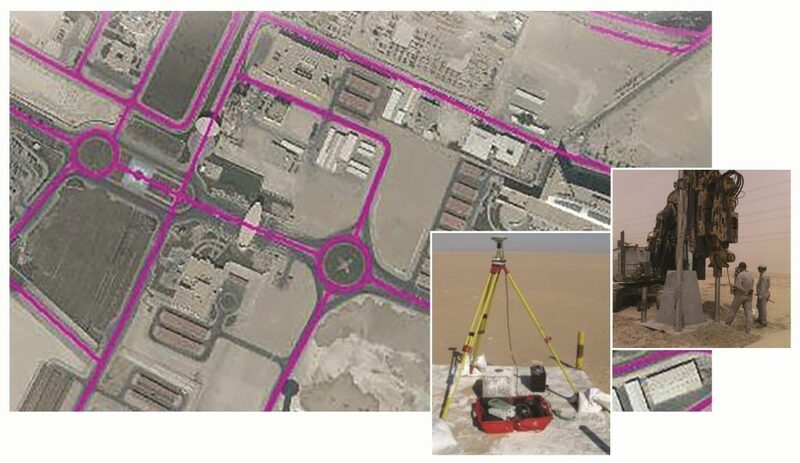 NZ Aerial Mapping Limited (NZAM) has completed the Contract for the renewal of the markers of the Partitioned Zone, its Dividing Line and the Boundary Line between The Kingdom of Saudi Arabia and The State of Kuwait. The Contract, between NZ Aerial Mapping Limited and The Government of the Kingdom of Saudi Arabia represented by the Minister of Interior of Kingdom of Saudi Arabia and The Government of the State of Kuwait represented by the Minister of Interior of State of Kuwait, was signed on 20th July 2010 in Jeddah. The Contract, to map the recognised border between the two countries and replace all 150 markers with new and substantial monuments was subject to international tender. NZAM was competing with the leaders in the field of boundary mapping and demarcation from around the world. Mr. Mohammed Hanno, Chairman of NZ Aerial Mapping Limited said “the award of this major contract recognises the pre-eminence of NZAM and its technological capability in the field of aerial surveying and mapping derived from 74 years in the business”. NZAM has operated in the Middle East and Africa for several years and has successfully completed projects in Saudi Arabia, United Arab Emirates, Oman, Sudan, Benin and Sierra Leone. Mr. Mark Roberts, Managing Director of NZ Aerial Mapping Limited in Jeddah to sign the contract was quick to point out that although NZAM was the Prime Contractor “This was a team effort and we were successful in winning this contract because of the very capable and experienced team that we assembled. CyberMAK Information System Co. W.L.L. and its parent company Mohammed Abdulmohsin Al-Kharafi & Sons Company (MAK Group) have completed a number of significant projects in Kuwait, the Gulf States, the Caribbean, Africa, Asia and Eastern Europe and are very well respected. MAK Group founded over 100 years ago shares longevity with NZAM. Independent Adviser to the Project, Dr. Bill Robertson ONZM, former Surveyor General Department of Survey and Land Information NZ, and NZAM Project Manager, Vince Belgrave, both have extensive experience as advisers to the United Nations on international border demarcation projects.